My family and I LOVE Christmas and our tree is a conglomeration of love throughout the years. We don’t really have a rhyme or reason to it – just handmade stuff, things that represent the kids, some anniversary ornaments, etc. I think our tree tells a story of our family. Also we have some handmade things like table runners and quilts that have been given to us through the years. I love those ‘prelit’ present boxes and try to purchase them during the after Christmas sales. Do you see my little nod to my Appalachian culture in my decorations? 🙂 When ya gotta go, ya gotta go 😉 I can’t remember seeing any that looked this cute, btw. And NONE with Christmas trees or smokestacks. We have our little nativity scene here sitting atop a beautiful handmade table runner given to us by one of our church families in the past. I love how the intricate and beautiful colors. And HERE is our study (for hubs and I). It’s also the room with the piano and the fantastic fireplace (which we hope to get working very soon). Stockings hung. Décor at the ready. Keep up on FB – I’ll be having a ‘reading’ time coming up for Christmas -a few various versions of Twas the Night before Christmas. 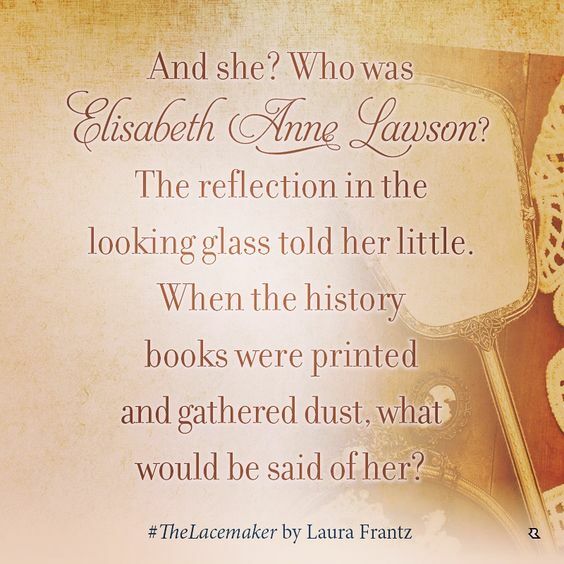 Poetic prose, engaging story, extensive historic details, and powerful characters bring Laura Frantz’s beautiful novel, The Lacemaker, to life…and impress it into the memory of the heart. I’ve come to expect a lovely read when Laura’s name is attached to the cover of any book, and her newest release (new for me) did not disappoint. Lady Elisabeth “Liberty” Lawson has nearly everything a lady of her position could want. Daughter of the British lieutenant governor of the Virginia Colony and a darling of fine society in a rugged land, she is anticipating an advantageous marriage. That her betrothed is a rake and love is lacking is of little consequence–or so she tells herself. One of the things I enjoy most about the way Laura describes her characters’ relationships is her subtlety. She has a wonderful way of weaving words in a such a turn that the reader knows and feels what is happening between the characters, but she doesn’t necessarily explicitly say. It’s a delicious discovery. The attraction between Noble and Liberty (great names, btw) lingers in between the words of the pages so the discovery is as sweet for the reader as it is for the characters. Their romance is a timid and innocent pursuit which grows from mutual admiration into love. The Lacemaker has so many delightful elements sprinkled in – humor, tenderness, intrigue, suspense, history, and, of course, MY favorite…. romance. 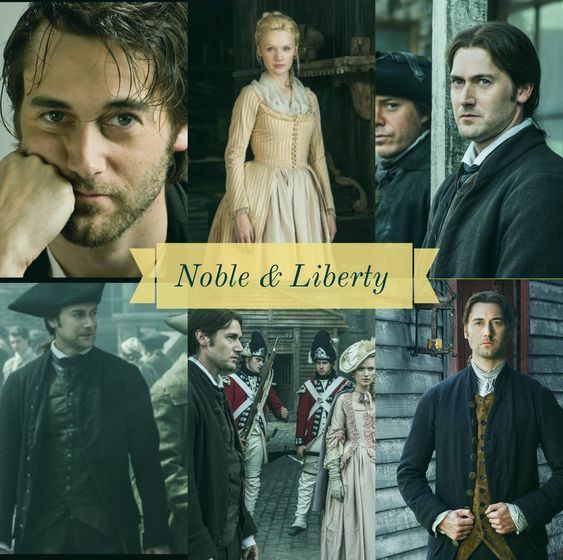 Liberty grows into her name with the dawning of the Revolutionary War. From dependent and resigned to her fate, to independent and willing to risk her life for what is right, she takes the hard knocks the tumultuous times deal her – the dangers, betrayals, and rejections – and blooms into a vibrant woman with as much strength and hope as the blossoming ‘new country’. And Noble? Noble doesn’t change a great deal, but that is also what makes him so endearing. An upright, brave, and dashing revolutionary, his gentlemanly ways and tenderness woo the heart of the reader as he woos the heart of Liberty. His protectiveness, gentleness, and desire to do the right thing make him a hero worth remembering – and very worthy of his name. The Lacemaker is a fabulous combination of Noble intentions and daring Liberty. This is another wonderful addition to my Laura Frantz library and…Noble might just be up there in my heartwarming heroes list with Red Shirt. That is HIGH praise indeed. Besides ‘visiting’ Cornwall through Doc Martin, Ladies in Lavender, and the FABULOUS 1995 version of Sense and Sensibility, I haven’t done much research of the area…you know, except the usual DROOL OVER THE CLIFFS!!!!!! So…I was delighted to get to visit Cornwall through Roseanna’s newest (to me) novel, because…hello! It’s ENGLAND!!! St. Michael’s Mount – Shrouded in myth, legend, and truth, this ‘island’ can be reached by a causeway (when the tide is right). A medieval castle, with all its history, a village, and gardens, this place is truly a step back in time. The harbor is thought to have provided docking for Phoenician fisherman from as long ago as 2000 years…did anyone think of Paul in his journeys? Mount Edgecumbe House and Country Park – Though Peter Holstein’s house was not considered huge, to get the sense of a country home in Cornwall, you can visit the elegant Mount Edgecumbe House. This 18th century home and gardens offers lovely walking tours and beautiful sites. 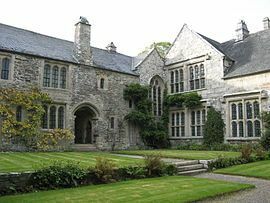 OR if you want something that fits into the late Victorian era – which could very well be near the time Peter’s family built their home in England – try Lanhydrock House and Gardens 😊 I even noted a cottage that could have been a very nice house for a sassy thief I’ve grown to love. Honestly, there are houses, ruins, castles, and cathedrals to visit GALORE. Those Drool Worthy Cliffs – For some scenic views to take your breath away, perhaps you could try some cliffs along the South West Coast Path, a beautiful coastal view along St. Ives Bay, or a walk in King Arthur’s footsteps in Tintagel. I can tell you for sure that the next trip I take to England, I’m going to make sure my visit includes a drive to Cornwall. And I hope to add another mental trip to Roseanna White’s colorful historical world very soon! A Song Unheard is the next one…with Willa as the featured heroine. I think I need to find a new time period in which to write because Roseanna White has the edge in Edwardian romance! I just finished her first book in the Shadows over England series – A Name Unknown – and it was WONDERFUL. What do you get when you have a thief for a heroine, a reclusive, stuttering writer for a hero, a dangerous plot that reaches all the way into the beginnings of a world war, AND a God who can work all things out for the good of his kids? (even when his kids try to hide from the world in their country estate houses)? You get Roseanna White’s wonderful story, A Name Unknown. From the beginning to the end, the novel held a thread of suspense that underpinned every other scene. Rosemary Gresham endeared herself immediately by being a feisty yet loving woman trying to etch out a better life for herself and her ‘family’ than she’d known as a starving orphan. Though a thief, and a very good one, White creates an immediately love for Rosemary because of her struggle to still try to do what’s right…even in her misconceptions. Given the opportunity to bring some real money into her family and help her country, Rosemary embarks on a mission to discover whether the reclusive England gentleman, Peter Holstein, is in cahoots with Germany. She’s good at her job, but nothing prepares her for the Truth she discovers. Life-changing…. soul-changing truth. Though speaking words aren’t easy for Peter Holstein, he has an amazing ability to write out his faith and SHOW it through his actions. With a subtle humor, a touch of eccentricity, a tender heart for the plight of others, and an adorable secret job, he easily endears himself to the reader’s, and Rosemary’s, heart. (Despite her best attempts to NOT like him, by the way). Secondary characters and the suspense plot play a wonderful role in moving this story forward, but the featured heart of this story is the transformation of Peter and Rosemary as a team. Despite their differences, and BECAUSE of their differences, they become so much more together than they could have been apart. Both learn to alter their misperceptions for something more filled with truth and grace than either prejudice or ignorance. Peter grows in his understanding of others outside his sphere (and is WILLING to grow, I might add), but also becomes a stronger, braver man because of Rosemary’s influence, and Rosemary softens her hardened edges because of the gentleness and faith Peter displays in all he does. Yes, this was a beautiful story. Thank you so much, Roseanna. 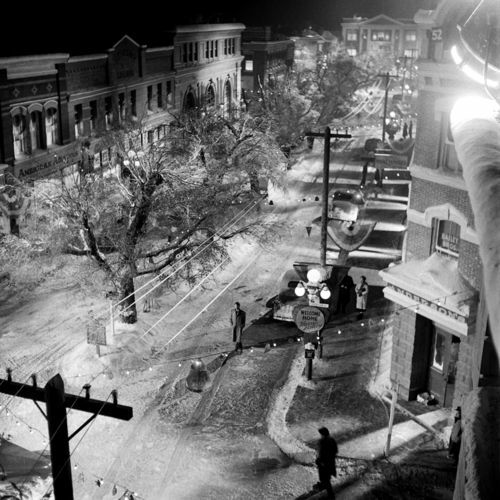 It takes place in my Blue Ridge Mountains in the real mountain town of Hot Springs, NC (only an hour up the road from where I live). I love the history behind this story. It was so interesting to learn about the German Internment camps in the U.S. during WW1. I LOVE the hero. August Rheinhold is a beautiful example of Christ’s pursuing love. August Reinhold has not only found kinship with Jessica’s grandparents, but as they share their granddaughter’s letters from the Front, he discovers a surprising bond drawing him toward the independent and beautiful woman. Displaced by a war and a painful history, he finds Hot Springs and the intriguing, Jessica Ross, a tempting place to start over. Determined to scale the heights of her bitterness and show her the power of love, August faces more than just Jessica’s resistance, but a more devious design to harm the civilian sailors housed in Hot Springs. If you read this book, what are some of yours? If you haven’t read it, enter here to get a chance. Giveaway open 11/10/18 – 11/16/18 11:59pm EST. Please enter via the Rafflecopter form below. Open Internationally. Winner’s choice of print or eBook valid for USA mailing addresses only. International winner will receive an eBook copy. Void where prohibited. And don’t forget to enter this Multi-Author Giveaway! 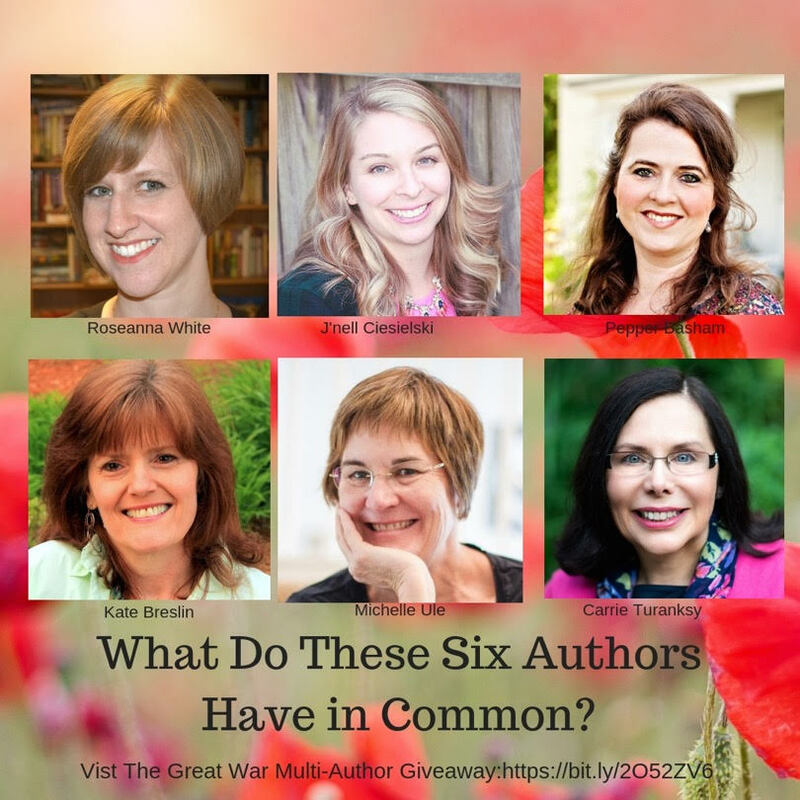 I have joined forces with five of my fellow authors who write fiction set during World War I. 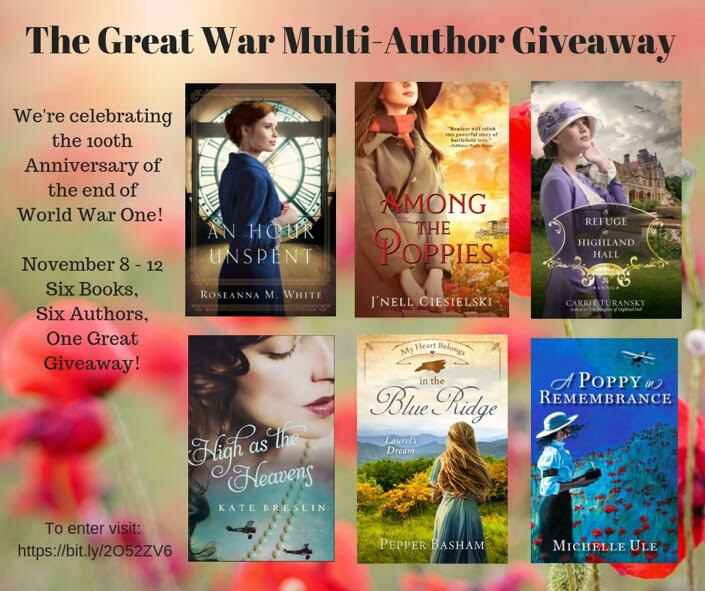 To honor the Centennial of the END of The Great War, we six authors have joined forces to offer you one fabulous giveaway of our WWI-based novels. For information on all the books and giveaway, visit Carrie Turansky’s page HERE. For a super-fun joint interview, check out the post Michelle Ule put together HERE. But you can also enter via the form below! Enter via the Rafflecopter form below. What is it about small towns? I mean, seriously, Hallmark has basically made an entire network out of small-town stories. And then there are the zillions of books plots that involve either fictional or real-life towns from all over the country…and even the world. And, of course, there’s Agatha Christie, Sarah Addison Allen, LM Montgomery, Robyn Carr, Debbie Macomber, and so many MORE!!!! Quirky/unique characters – it’s true, unique characters happen EVERYWHERE, but they seem to be particularly highlighted in small towns. Oh my! There’s the resident sage. Or the local busybody. Or the quirky neighbor. Memorable places to come back and visit again. For some reason, most of these small town settings create an environment of ‘home’ just by the atmosphere. As readers or viewers we step into a world we feel like we ‘know’. There’s a great deal of sweet predictability that appeals to our love that goes back to #1…belonging and home. Okay, so tell me what you love about small towns? Can you name some books and authors who celebrate the coziness of small towns? Let’s Celebrate It’s Release Day! When You Look at Me is NOW AVAILABLE!!! YAY!!!! Are you ready for a little bit of Release Day FUN??? I can’t believe I have 10….TEN….Books out in the world now. You know, I wouldn’t be here without my READERS! So THANK YOU, my dear readers, for all of the love! A little look at the books that brought us to where we are today! You can find out more about each of my stories HERE. Don’t forget to grab the Just the Way You Are eBook for FREE! Today is the last day. And…I am kicking off the new year right…with yet ANOTHER book release!!! That’s right…My Heart Belongs in the Blue Ridge Mountains is coming out January 1st. One winner will receive a print copy of When You Look at Me. Open internationally. If the winner has a mailing address outside the USA, they will receive a digital copy of the book. Giveaway open 10/25/18 – 10/31/18. Void where prohibited. Don’t forget to enter the Just Read giveaway as well! When You Look at Me – Sneak Peek! It’s almost here! YAY! One week…The Countdown is officially on! I am so excited to give you a little peek at this story. Read on and there is a special surprise for you all! When Julia Jenkins’ great-aunt dies and leaves her a Victorian mansion with decades of secrets, Julia never expects to unearth a World War 2 espionage mystery. Struggling with her own past since an assault left her pregnant, her future as a solo parent leaves her dreams uncertain. The inheritance from her great aunt gives Julia the ability to take a step back into her future, but also sends her into the discovery of a love story she’d never anticipated. As she goes through her aunt’s treasured possessions, Julia uncovers some oddly written piano music with a musical code she can’t decipher on her own. 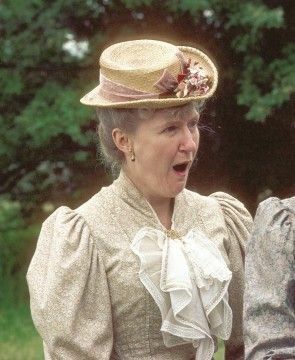 Not to worry, introverted Englishman and composer, Henry Wright, is thrust on the scene by a pair of homespun matchmakers who know the ‘right’ man for Julia’s wounded heart. A cacophony of noise greeted Henry before he’d stepped onto the front stoop of Nate and Kay Jenkins’s charming colonial home. The scurry of sounds crashed in contrast to the late spring symphony of birdsong and the hushed brush of the wind through the newly budding trees. 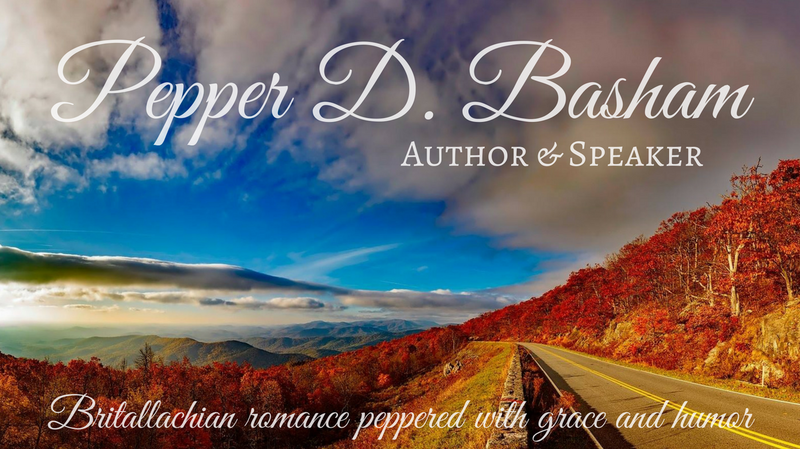 He almost asked to linger outside in the spring-chilled air to enjoy the unfamiliar music of nature in the Blue Ridge Mountains instead of spending the next few hours navigating the unpredictable world of social interactions. His mother berated him for his introversion, labeling him a people-hater, but it wasn’t so. He enjoyed people, especially familiar people—watching them, learning from them, sometimes having a mental chuckle at their antics—but finding words to say, participating in small talk, attempting to appear smart and engaging… He swallowed through his tightening throat. He’d never managed those experiences well, especially in a new place. Perhaps, Wes would ease the way with his natural friendliness and deflect a large portion of the attention, as he usually did. It proved beneficial during times like these to have an actor as one’s best mate. He squinted to clear the vision in his swollen eye as Eisley opened the front door of the house. A sudden burst of welcome pushed the volume in the room to a forte, and Henry’s tension took an upsurge. His feet froze in place while he observed. Chaos of people and noise rushed forward, engulfing him. He even took a step back in retreat, but Eisley grabbed his arm and pulled him through the doorway into the massive foray of people. Wes had told him of Eisley’s large close-knit family, even shown him photos on Eisley’s social media page, but words, and even those snaps, failed to give an adequate depiction. Laughter surged forward in a rush of welcome, bringing with it an immediate sense of hospitality, boisterous hospitality. So many people spoke at once, all in this new Appalachian dialect, he barely knew where to affix his attention. Oh no, he’d never experienced anything like this. “Wes, we’re glad to have you back for another visit.” A petite woman with blond and white shoulder-length hair emerged from the throng scattered throughout the vast living area and equally impressive kitchen. Her blue eyes held a striking resemblance to Julia’s. Dark, rich—an unforgettable hue. He gave the room a brief scan for the younger Jenkins. Julia. The name suited her. The blend of consonants and vowels a gentle melody of sound fitting for the ethereal-like beauty. What was it about her? Some balance of everything right merged in their interactions, even the awkward ones, leaving a strange pang in his chest. Like a battle of nerves, only less nauseating. The matriarch of the Jenkins family offered her hand, her smile as inviting as the salty aroma wafting from the kitchen. She certainly didn’t look old enough to be the mother of children his age, let alone seven of them. “That’s Sophie. Brace yourself. She hugs,” Wes warned right before the young woman took Wes into a hug, complete with another ear-piercing squeal. The embrace transferred from Wes, and Henry steadied himself for the impact. “Mmm, you smell like vanilla.” She closed her eyes, smile wide, and nose sniffing the air near his neck. He stiffened like the Venus de Milo. “That’s such a delightful scent.” Her eyes fairly twinkled. “Like a cupcake. “Thank you?” Henry wasn’t quite certain whether the unsettled twist in his stomach meant he needed a laugh or an escape plan. And then other people came forward, each adding a new face and name. Henry turned from Eisley to Wes, attempting to interpret the scene but failing to find clarity before the conversation bled into another one. Or more than one. It was difficult to tell when there were four people speaking at the same time…on differing topics. “And it’s only just begun,” Wes added, his smile giving Henry no comfort. A burly man, his brown hair and matching moustache framing his stern face, walked forward while wiping his thick palms on his hips. Henry needed no introduction. Wes’s description had been perfect, right down to the intimidating stare. The wall prevented Henry from fleeing the premises altogether. Perhaps accompanying Wes to Appalachia was a bad— possibly life-ending—idea. Wes placed his hand on Henry’s shoulder, his lips upturned in good-humor, though Henry had difficulty understanding how anything good could come from seeing his life flash before his eyes. “You…you didn’t have to hit him?” Nate kept his focus on Henry, though his tone slightly softened. Her comment pushed through the growing anxiety in his chest and dispersed a sliver of calm. Belonging. Like when they’d discussed music together. During release week ONLY…You can get the Kindle book of Just the Way You Are for FREE on Amazon HERE! Enjoy and Happy Reading!! !